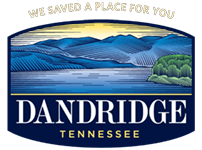 The Town of Dandridge has received a grant from the Tennessee Housing and Development Authority to renovate homes for low income home owners. The Town would encourage anyone that owns their own home that is need of repair to attend the meeting on November 10, 2015 at 4pm at the Public Works and Police Department Building. The grants will be scored based on low income and gives preference to elderly and single head of households. Please make plans to attend and take advantage of this opportunity. The Application is attached.